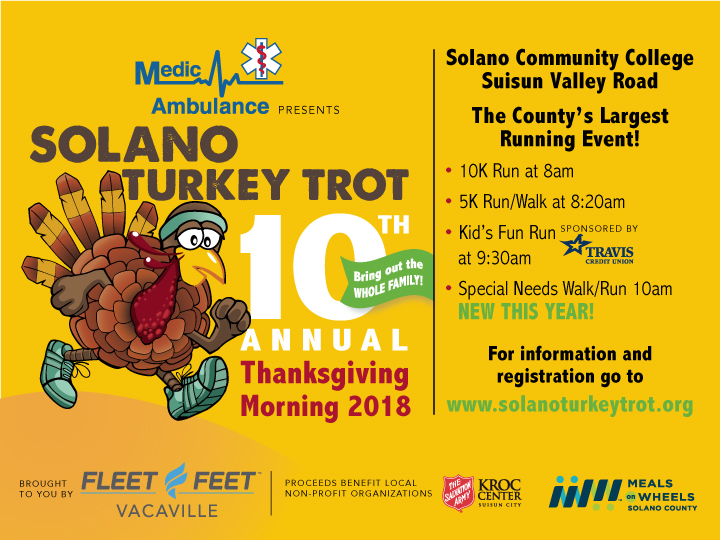 Welcome to our 10th annual Solano Turkey Trot being held in beautiful Suisun Valley on Thanksgiving Day, 2018. Race starts promptly at 8am for the 10K, 8:20am for the 5K, and the kids fun run starts at 9:30am. The main staging area for all race-day activities is at Solano Community College located at 4000 Suisun Valley Road in Fairfield, California. Other race-day activities include food & informational booths, awards, and other fun activities for the entire family. Note: T-shirts are guaranteed with registration through November 12, 2018. 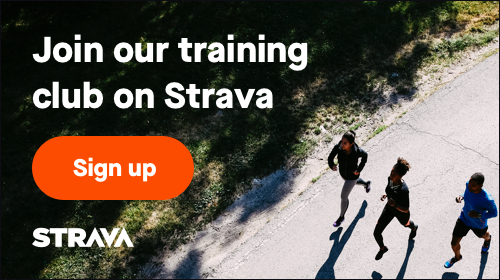 The cutoff date for online registration is at 11:59PM on November 21, 2018. November 20th (Tuesday) between the hours of 12pm - 7pm. We will be located near the Dining Food Court on the 2nd floor. You can register in person at any packet pick-up location and on race morning. Announcing our 1st ever Turkey costume contest!! Dress yourself, your child, and bring out your family in your best Turkey costume and win prizes! Big prizes. Best dressed male and female 18 & over: Win a $50 gift card to Fleet Feet Vacaville. Best dressed boy and girl (under 18) win a toy basket of games, bubbles, Scandia passes and more! Best dressed family: Grand prize to be announced soon!